For some of us, allergy season can be miserable. Itchy eyes, running nose and sneezing fits can all drive us further inside our homes while our friends are enjoying the good weather outside. But it’s not just us that suffer from seasonal allergies. 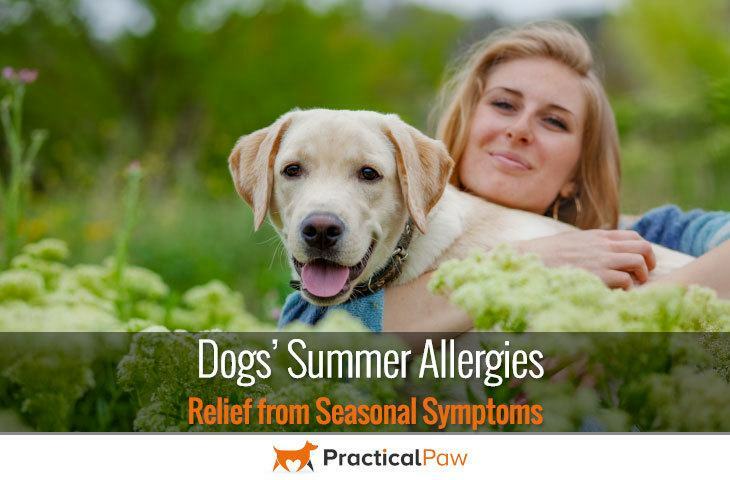 It’s estimated that around ten to fifteen percent of dogs suffer from seasonal allergies too. Just like us, our dogs can be sensitive to allergens in the environment and in food, and their bodies respond in exactly the same way that ours does. So how do allergies affect our dogs and what can we do to make our dogs more comfortable when allergy season starts? 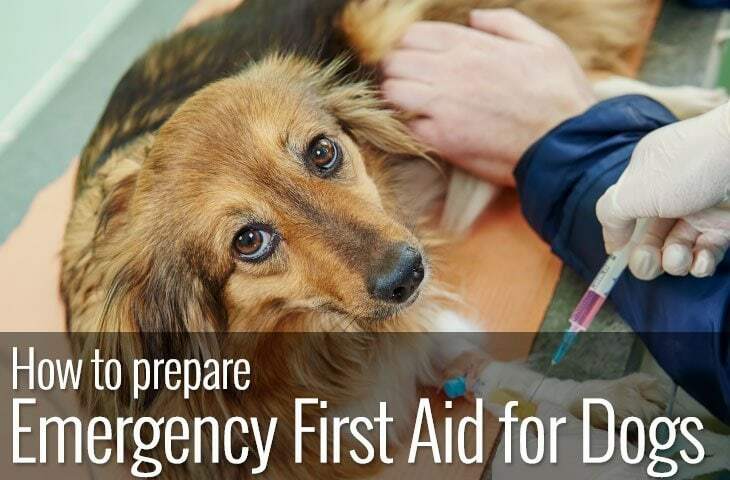 Dog allergies tend to fall into three distinct categories; food allergies, flea bite allergy and environmental allergies ( contact or inhalant sensitivities) which are known as atopy. 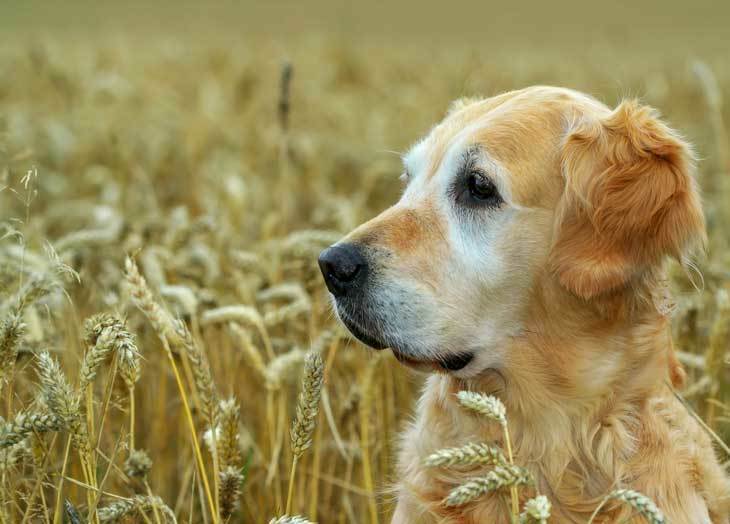 While food allergies can affect your dog all year round, seasonal allergies are more common in spring, summer and autumn. That’s not to say that environmental allergens can’t cause issues during the rest of the year though. Allergens are extremely varied, so it depends on what your dog is sensitive to. In fact, it can be challenging to work out whether it’s an environmental problem or food related item that is causing the allergy. The symptoms of both can be very similar, so it’s always useful to keep an allergy diary to help pinpoint the trigger. However, some clues assist in determining whether a dog is suffering an allergy due to a seasonal trigger or not. Unfortunately, almost anything can cause an allergic reaction. It’s not entirely understood why some dogs suffer while others don’t. Although genetics are thought to play a part, as allergies often run in families. What we do know is that when the immune system detects something in or on the body, it makes a decision as to whether it is a threat or not. If a substance like pollen, for example, is deemed as dangerous, the immune system produces anti bodies to fight the foreign invader. These antibodies release chemicals to combat the pollen, and this results in an allergic reaction. The symptoms of this reaction are most often experienced on the skin, in the nose, eyes, lungs, throat, ears and stomach. Although seasonal allergies are more likely to be caused by something outside of the home such as pollen. Chronic allergies can be caused by irritants within the home, like cleaning products. While it’s not uncommon for dogs to react to allergies with runny noses, streaming eyes and sneezes it’s much more likely that they will take the form of a skin problem. Dogs with allergies often have very itchy skin (allergic dermatitis), particularly on their face and feet. Unfortunately, the itchiness causes dogs to chew and lick their feet. And this causes, even more, issues as the skin then becomes inflamed, red and sore. Although any dog can develop allergies, some breeds are more susceptible than others. Flat faced dog breeds like Bulldogs, Boxers and Pugs as well as Retrievers, Setters, German Shepherds and Bichon Frise are all breeds that are prone to sensitivities. What’s more, as allergies are thought to have a genetic link, a dog with parents that suffer from allergies is more likely to be sensitive to allergens. If you suspect your dog has an allergy visit your veterinarian who can assist in determining the cause. The longer the allergy goes undetected or untreated, the more likely it is that your dog will scratch and create even bigger problems. There are several options that your vet may discuss with you if a seasonal allergy is suspected. These include prescribing antihistamines allergy injections, cortisone and allergy shampoos. There are also some things that we can do at home to help minimise allergens and keep our dogs comfortable during allergy season. Washing a dog’s paws after each walk will help keep allergens at bay. Not only will it wash away most of the problem from the paws themselves but it will also prevent the allergens being walked through the house. Choose a shampoo that helps prevent itching and always dry dogs paws thoroughly. Regular baths. In the same way that washing a dog’s paws will help minimise allergens a full bath will remove any allergens on your dog’s fur and help soothe their skin. Although over bathing can remove essential oils from a dogs skin, when allergy season hits it can be a lifesaver. Choose a mild shampoo and rinse well. Wash dog beds and favourite sleeping places thoroughly. Vacuum regularly and choose cleaning products that are natural and non-toxic. Change your dogs walking routes. 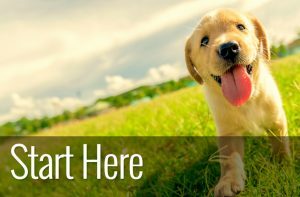 Because there are some common allergens like grass, trees and weeds changing where your dog walks can have a huge impact. If possible keep well away from high pollen areas until the pollen count goes down. Food allergies are sometimes tricky to identify but if your dog suffers allergy symptoms all year round and the allergen can’t be identified it could be something that your dog ‘s eating. Your vet can advise you on the best way to alter your dog’s diet to attempt to identify the culprit. Finding the root cause of an allergy is challenging but vital. 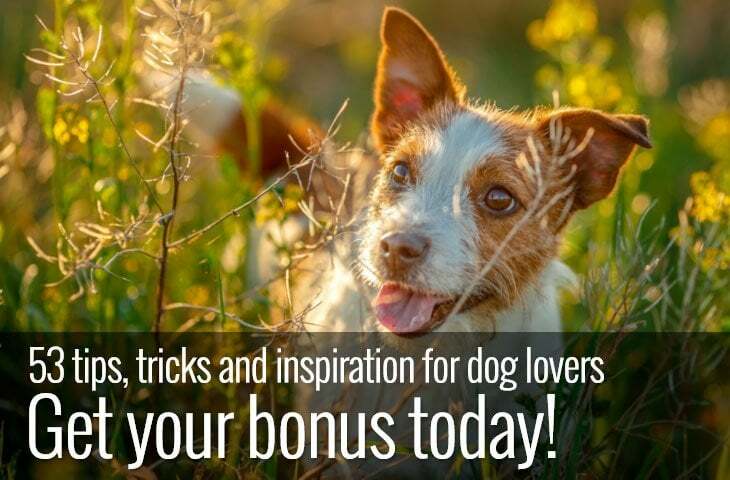 As the more, your dog is exposed to the irritant the more sensitive your dog becomes. It can be miserable watching your dog suffer from allergies. Constant scratching, sore and inflamed skin and regular head-shaking all make the summer months uncomfortable for our canine companions. 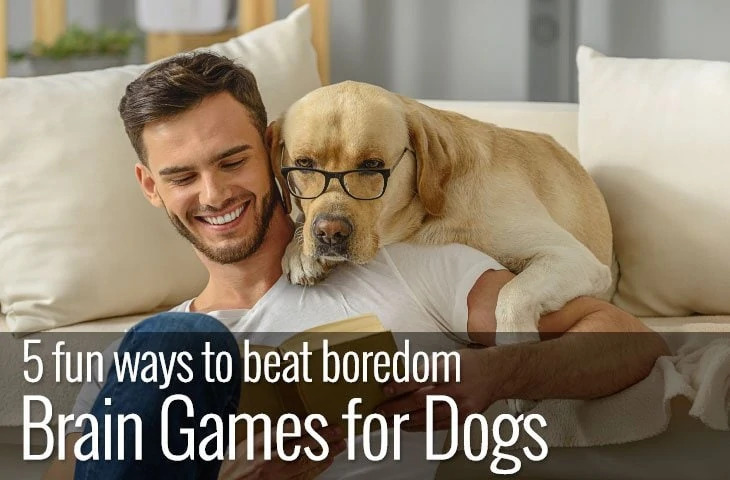 But early detection and treatment can lessen the symptoms and help your dog get through the summer season with minimum suffering. While allergies can’t be cured, with some careful management sensitivity to the triggers can be reduced, and the symptoms lessened. So there’s no reason why your dog can’t enjoy the summer months and make the most of the warm weather.